American Hotel Income Properties is led by an experienced team with deep roots in hotel ownership and management and together they are committed to unitholders to build on disciplined investing, sustainable returns and value growth. John O’Neill has been in the hospitality industry for more than 30 years and was appointed CEO of American Hotel Income Properties REIT LP (“AHIP”) in October 2018. John was a co-founder of AHIP in 2013. For the past 24 years, John was CEO of O’Neill Hotels and Resorts, a Vancouver-based hotel management, development and investment firm that oversaw the management of over 200 hotel properties across Canada and the U.S. Most recently Mr. O’Neill was CEO of ONE Lodging Management, which was ranked as the 15th largest hotel management company in North American in 2017, before the business was sold to Aimbridge Hospitality Management in early 2018. Prior to this, Mr. O’Neill was a co-founder of Canadian Hotel Income Properties Real Estate Trust (“CHIP REIT”) and served as a Director of the board from 1999 to 2001. John currently serves as a Director on the board of Pure Multi-Family REIT LP, and as a Director of the Fraser Institute. He is also a member of the Marriott’s Owner Advisory Counsel and Chair of the Collingwood School Foundation. John has previously served as a member of the Minister’s Council on Tourism, as a Director of Tourism Whistler, as member of the Sauder School of Business (UBC) Faculty Advisory Board, and as Chair of the B.C. Chapter of the Young President’s Organization. Mr. O’Neill has won numerous awards, including being named Canadian Hotelier of the Year, Entrepreneur of the Year Finalist, and Top 40 under 40. He graduated from the University of British Columbia with a Bachelor of Commerce. 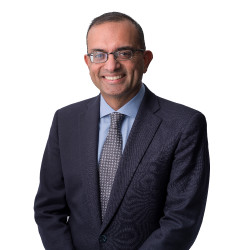 Mr. Lalani joined American Hotel Income Properties REIT LP in April 2014 as Chief Financial Officer and oversees AHIP’s financial reporting, tax, capital markets and treasury activities. Mr. Lalani has more than 20 years of experience in financial reporting, corporate finance, operations, business valuation, taxation and risk management. Prior to joining AHIP, Mr. Lalani held senior management roles in several public real estate and hospitality entities. Mr. Lalani is a Chartered Professional Accountant (CA) and a Chartered Business Valuator. 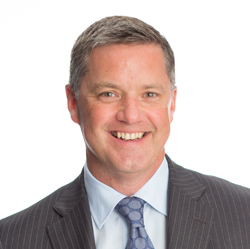 Mr. Cameron joined American Hotel Income Properties REIT LP in February 2019 as Chief Investment Officer and leads the Company’s M&A, capital recycling and financing strategies. 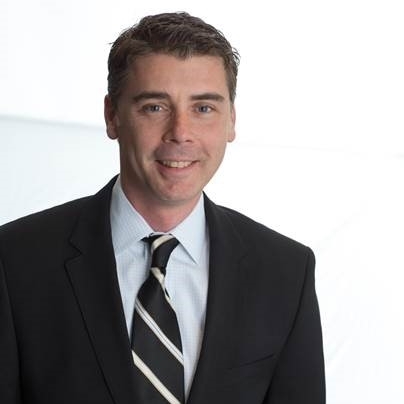 Chris is a Chartered Professional Accountant and has over 14 years of experience in the hotel industry, overseeing multiple disciplines including acquisitions, debt financing and operations. He had previously worked with AHIP on its initial public offering, was instrumental in the acquisition of AHIP’s first portfolio of lodging hotels and advised AHIP during several other portfolio acquisitions since AHIP's inception. Most recently, Chris was Senior Vice President at O’Neill Hotels and Resorts – a North American hotel operator, developer and owner, that managed over 120 hotels throughout the U.S and Canada. There, Chris had a leading role in both acquiring and selling properties, along with sourcing development opportunities for new hotels, across North America. Prior to entering the hotel industry, Mr. Cameron was employed in the entertainment production industry, and was involved in producing some of the world’s largest grossing concert tours. Ms. Yu serves as the Vice President of Finance and has been with American Hotel Income Properties REIT LP since the company’s inception in 2013. Ms. Yu Directs all aspects of accounting operations, overseeing all transactions and financial reporting. Ms. Yu began her time with AHIP as Director of Finance where she was an integral part of AHIP’s successful CAD$100.1 million initial public offering in February 2013. Her deep-rooted financial expertise helped the company exceed their initial market goal. 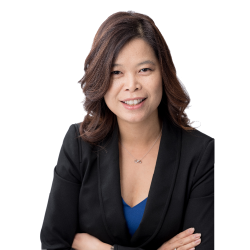 Ms. Yu has more than 15 years of accounting and finance experience, with a focus on financial reporting, internal controls, corporate finance and Canadian and US tax. Prior to her tenure at AHIP, Ms. Yu worked as Controller and Manager of Financial Reporting of Sterling Shoes Inc. and Controller of Ventyx Software Solutions Inc. (formerly Mobile Data Solutions Inc.). Prior to that, Ms. Yu held the position of Manager in the Assurance and Business Advisory Group for PwC Vancouver. Ms. Yu is a Chartered Professional Accountant (CPA, CA). Mr. Maharjan has joined American Hotel Income Properties as Managing Director, Asset Management. Mr. Maharjan is responsible for developing long-term strategies for AHIP’s portfolio of premium branded, select-service hotels with the goal of positioning the portfolio for growth. Mr. Maharjan has more than 10 years of experience in assessing hotel investment opportunities, providing forecasts for both hotel market and asset level performance, and advising on strategic asset management initiatives. He was previously with Abu Dhabi Investment Authority (ADIA) as Research Specialist – Real Estate Department, Global Hospitality Investment with responsibility for reviewing and assessing global investment opportunities. 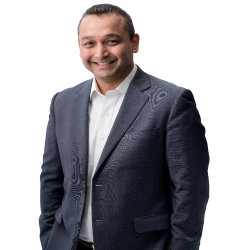 Prior to working at ADIA, Mr. Maharjan was Manager of Feasibility, Development & Investment Analysis at Starwood Hotels & Resorts where he was responsible for hotel feasibility and market studies in various locations throughout the US, Canada, and the Caribbean. He was also a Real Estate Analyst (Hospitality) with Ernst & Young in Los Angeles and New York. Martin Pinsker has been with American Hotel Income Properties REIT LP (“AHIP”) since the company’s inception in 2013 and presently serves as Senior Director, Investments. Mr. Pinsker is responsible for identifying hotel investment opportunities and completing commercial real estate transactions. Prior to joining AHIP, Mr. Pinsker held the position of Hospitality Asset Management Associate at TriMont Real Estate Advisors, a leading commercial real estate servicer. Mr. Pinsker graduated with a Bachelor of Science from the School of Hotel Administration at Cornell University and is a lifetime member of the Cornell Hotel Society. 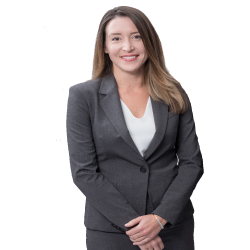 Ms. Kokoska joined American Hotel Income Properties in September 2017 and is responsible for investor outreach and capital markets relationships. In her prior roles, Jamie led Investor Relations strategies for Ritchie Bros. Auctioneers as Director, Investor Relations, and Canaccord Genuity, as Vice President – Investor Relations & Communications. At these companies, she oversaw financial and corporate communications activities and managed shareholder relationships through several significant acquisitions, corporate strategy changes, and executive appointments. 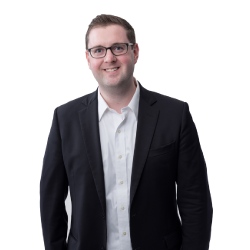 Jamie has experience with public companies listed on the TSX, NYSE, and LSE, and has developed strong institutional investor relationships across Canada, the U.S., and the U.K. Ms. Kokoska graduated with an MBA from Queen’s University.